Softalizer.com: "We have checked your program for viruses, adware-spyware and found it to be clean. We have also checked the installation of your program on several operating systems and have concluded that your program is safe to install." Vista-files.org: "Your software AnyBook was checked by our antivirus software to check whether it contain some viruses, trojans or spyware. The commercial antivirus software showed that your program is clean from any destructive or unwanted intrusion." 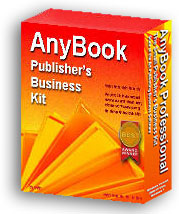 DownloadSofts.com: "Our software experts have tested your product named AnyBook. They were very impressed by the quality and cleanliness of the program and are eager to test your future products. They found AnyBook clean of adware/spyware and they qualified it as '100% Clean and Safe to install'. Accordingly, we grant your product with 'Clean & Safe" DownloadSofts Award.'" 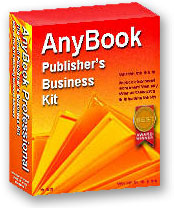 Soft32Download: "You have received this email because your software product named AnyBook has been tested and has been found by our experts free of adware/spyware/trojans/viruses. Blueprograms.com: "We are glad to let you know that we checked your programs against viruses, spyware and adware and we found them to be 100% clean." Datapicks.com: "We have found your programs to be 100% clean and safe to install." Softdll.com: "Your software AnyBook has been found completely clean from threats and has received the SOFTDLL CLEAN! AWARD." We have been in business for over 20 years and have an outstanding reputation, but that reputation and our business would be in tatters, if we were distributing software that contained viruses. Thus, we go out of our way to protect our users and provide thoroughly tested and safe products.